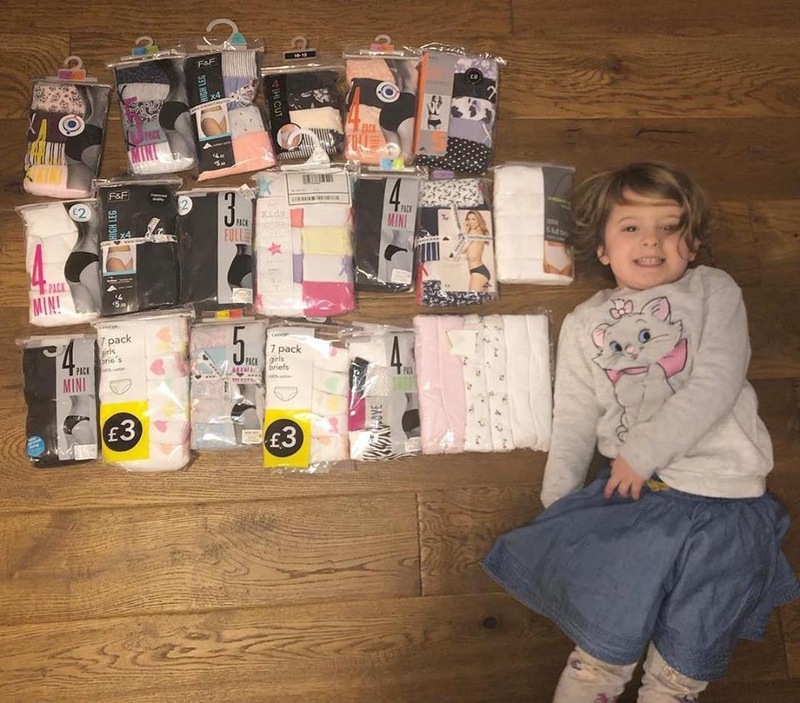 The KnickerLady projects are about helping women and girls to have dignity, not held back by hardship because they cannot afford to buy the basic right, of KNICKERS and of SANITARY TOWELS. So we are currently helping THE RED BOX PROJECT SOUTHEND by donating KNICKERS to them. RED BOX go into schools where some of the girls cannot afford to buy Sanitary wear. They may urgently need KNICKERS too and so I have supplied these to them as well as to the women of Mpongwe in Zambia. This delightful little girl came and collected the KNICKERS from me.